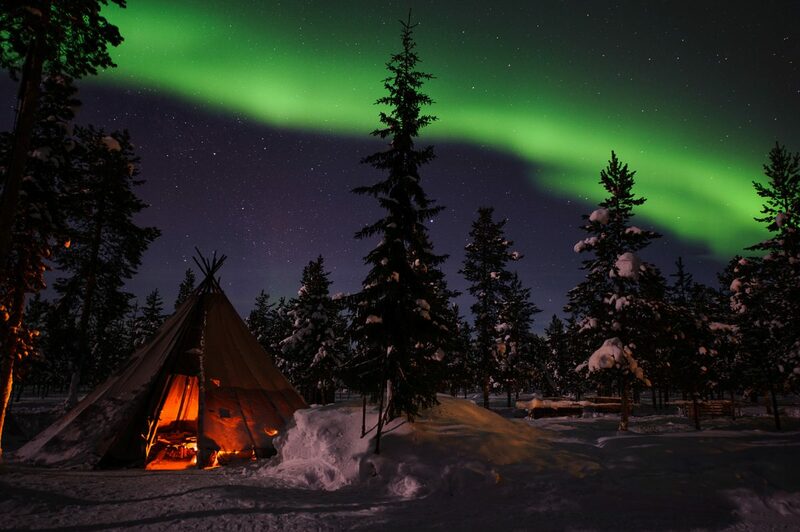 The most eco-friendly option of northern light activity, with focus on traditional Sámi storytelling. 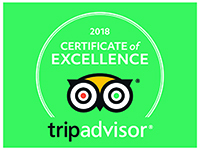 Follow a guide and our tame reindeer out for an educating, mysterious and peaceful walk to the best northern light spotting places around our forest near Reindeer Lodge. This activity suits everyone as our reindeer will assist as back in the nomadic time, pulling our packing-sleds suitable for kids to sit on. 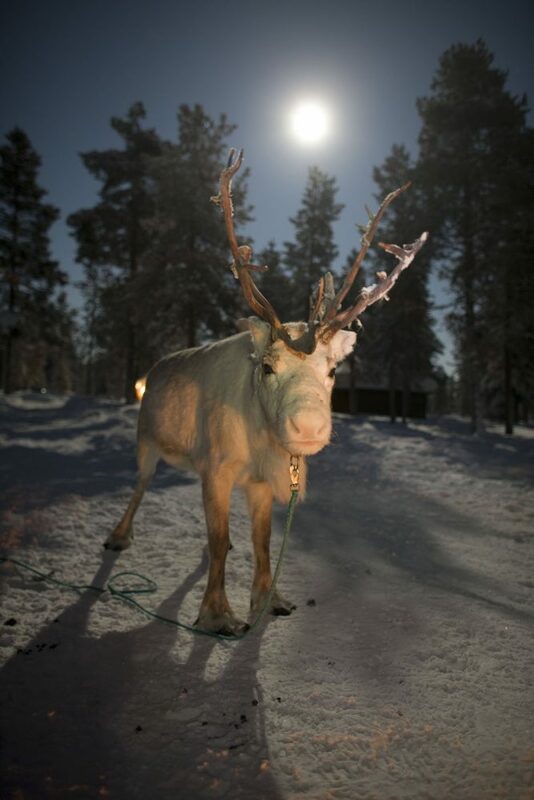 Have you heard about the mysterious white reindeer? Whispering winds and northern lights saving lives? The focus will be around storytelling, since Sámi knowledge always has and is passed forward orally. Old Sámi myths and saying around the old religion and northern lights are disappearing among the younger generations of our people, thanks to the colonial society. However this is a great opportunity to take part of the rarely told stories. And also to learn about Sámi culture. We will gather around our open air fireplace, taking in the surrounding and be embraced by a harmonious moment where tales, joik and song comes to live. We will boil coffee and tea on the fireplace and hopefully have captivating conversations as the magnificent lights of Aurora Borealis dances above us. The price includes: Transfer, guide, appropriate warm clothing, warm drink and some snacks. Number of participants:: Minimum 2 people, maximum 16 people.